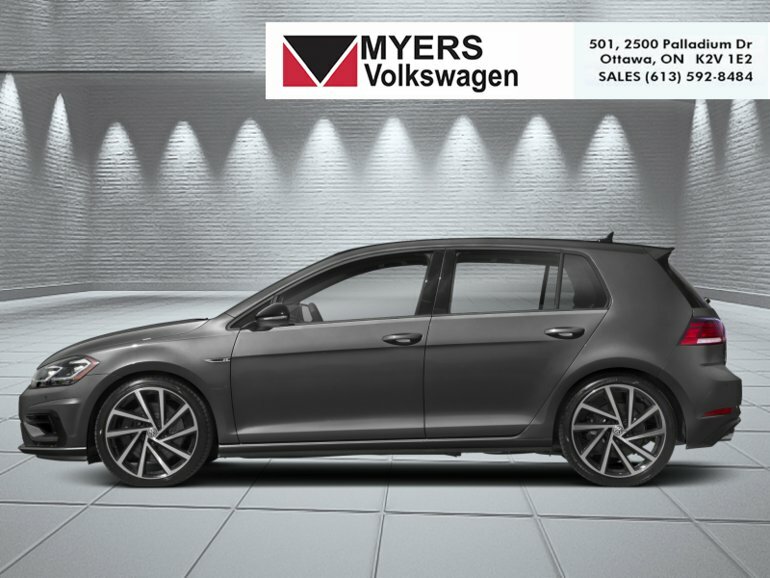 While this 2019 Volkswagen Golf R doesn't stand out in a crowd, the performance it offers will easily make up for that. Do not judge the Volkswagen Golf R by its looks! 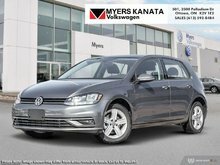 This elegant, restrained compact is eerily similar to the standard Golf, designed to blend in with traffic and be the least flamboyant and flashy. Within the finely crafted interior you will find more than just luxuries and countless creature comforts, while the performance and handling will definitely leave you speechless. This indium grey met hatchback has a manual transmission and is powered by a 288HP 2.0L 4 Cylinder Engine. Our Golf R's trim level is 5-door Manual. Arguably one of the best performers among the compacts, this Volkswagen Golf R is a true thoroughbred sports car. Options and features include a 288 horsepower engine paired to a 6 speed manual transmission, driver ride control sport tuned adaptive suspension, elegant performance alloy wheels, LED brake lights, fully automatic LED headlamps, a premium Fender stereo with 8 speakers and a sub-woofer, an 8 inch display with navigation and proximity sensor, voice controlled multimedia, SiriusXM satellite radio, App-Connect smartphone integration, Bluetooth, heated front power seats, a sport leather steering wheel, proximity keyless entry and push button start, cruise control, power fuel release, dual zone front automatic air conditioning, Vienna leather seat trim, a rear view camera and much more. This vehicle has been upgraded with the following features: Driver Assistance Package. 288HP 2.0L 4 Cylinder Engine - 4 cyl. 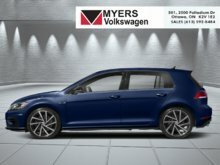 Ce véhicule, Volkswagen Golf R 5-door Manual 2019 vous intéresse?